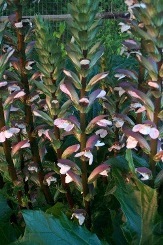 These are ground covering plants that readily develop into a mass of stems, leaves, and / or flowers. Groundcovers act like a living mulch and once fully established often help to shade the ground beneath them which helps to reduce weeds. 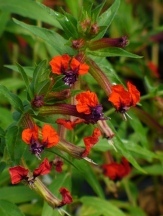 This is also a good way to make a statement in the garden or landscape or use these plants as fillers beneath and around larger growing plants. Rounded medium green tiny leaves adorn this low trailing indoor plant. Item # 312. Rounded clusters of bluish purple flowers are produced from mid spring to early summer and again in fall and butterflies and other pollinators are seemingly unable to resist stopping to partake of the nectar rich buffet. The Betonyleaf Mistflower is a native shrub-like perennial with a naturally rounded mounding and spreading habit. 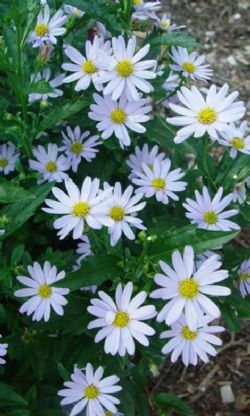 Use this beautiful native near the front of the garden or landscape as a groundcover, in mass, or allow it to spill over walls or from containers. Provide a full sun location and a well drained soil for the best results. Item# 11050. A nearly endless procession of vivid, deep bluish-purple flower clusters are born in mass above the low, ferny foliage of this wonderful free-flowering perennial Verbena. Perennial Verbenas make wonderful additions to the butterfly garden providing nectar even in late winter for early visitors. Use Blue-Violet Tapien Verbena as a groundcover, a spiller in containers, or as a beautiful hanging basket. Item# 10264. The pink flowers of Candy Stripe are heavily edged in white making this a favorite among gardeners everywhere. In early spring it covers up in 1/2" wide flowers that provide nectar to a variety of pollinators including butterflies and bees. Creeping Phlox or Thrift is a low maintenance, durable, low growing, native groundcover with finely textured foliage that is drought resistant once well established. Item# 10823. Egg yolk yellow clusters of nectar rich flowers shine brightly against the dark glossy green foliage of Chapel Hill Gold Lantana throughout the growing season. 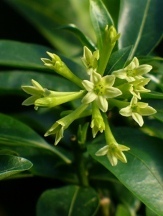 An improvement over New Gold with larger flower clusters, increased vigor, as well as improved cold hardiness. Use Chapel Hill Gold as a groundcover in the garden and landscape or allow it to spill from large containers. Item# 10897. 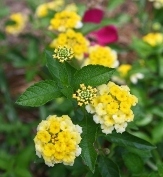 Not just another yellow Lantana, Chapel Hill Yellow is a superior selection that has the habit of New Gold but with the cold hardiness of Miss Huff. It produces clusters of primrose yellow flowers from spring to frost on a low and spreading plant and like all Lantana the flowers attract loads of butterflies and other pollinators. 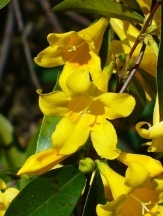 It is sure to brighten up gardens throughout zone 7 and easily lends itself to use as a groundcover in the garden and landscape or spilling from large containers. Item# 10808. 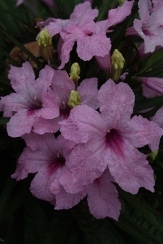 Chi-Chi Dwarf Pink Mexican Petunia is a lovely dwarf perennial that produces loads of pink trumpet shaped flowers tucked in among the dark green glossy foliage from spring to frost on a compact low mounding plant. This durable perennial makes a great border, groundcover, or makes a great addition to containers. Item# 917. 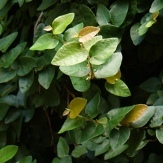 The dainty rounded foliage of this tight clinging evergreen vine creates a striking rich green tapestry on any wall and is common in gardens across the south. Very tough, vigorous, and easy to grow. Item # 364. 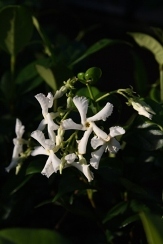 Loose clusters of sweetly fragrant white, star shaped blooms are born in mass in late spring and early summer on this vigorous and durable evergreen twining climber. 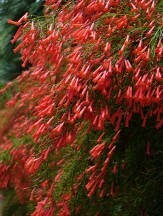 Well established plants can provide intermittent flowering through summer. An excellent choice for arbors. 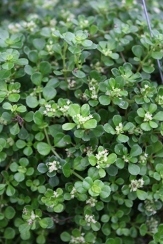 Can be grown as a deep dense groundcover. Item # 1028.